Industrial determinants. In what ways are stories and their telling contingent on the production cultures, distribution methods, revenue models and governmental policies that configure a given creative industry? 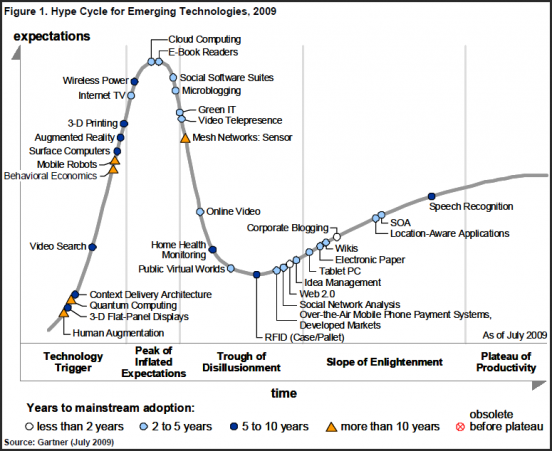 Digital Technologies. How has the construction and/or reception of narratives been influenced by digital production equipment, distribution tech, online platforms and consumer hardware devices? Seriality and Transmedia: In what ways do serial narrative forms, whether disseminated within a given medium or across multiple media, reflect industrial and technological contexts? 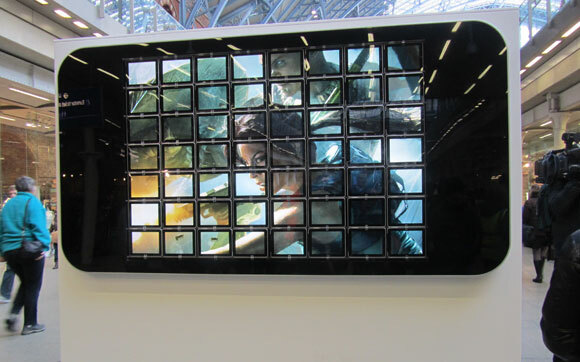 Audio and Visual Styles: How are the sounds and visions of contemporary screen narratives informed by conditions of production and reception technologies? Paratextual Surround: In what ways do promotional materials, practitioner discourses, fan cultures and critical/journalistic responses discursively frame screen narratives? Papers should not exceed twenty minutes in length. The deadline for proposal submission is Monday 13 February 2012. Deadline for proposal submission is now: 4 March 2012. Recently, Daniel Stein (my co-editor, along with Christina Meyer, on Transnational Perspectives on Graphic Narratives: Comics at the Crossroads) wrote an interesting report to which I’d like to draw readers’ attention. 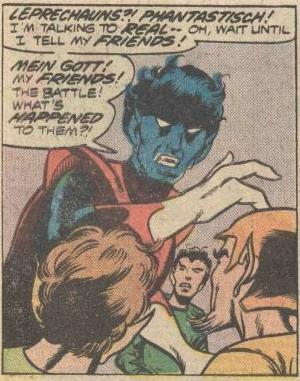 Entitled “Comics Studies in Germany: Where It’s At and Where it Might Be Heading,” the article first appeared at Comics Forum. Meanwhile, a German translation has appeared on the website of the Gesellschaft für Comicforschung (here). Whichever language you choose, please do check out Daniel’s article for an insightful look at the current state of a vibrant but still controversial field of research in the German context. There are few technological developments that had more of a visible impact on participatory culture in the 2000s than the wiki. Although the software was designed for small-scale and local uses, wikis have emerged as a major tool used by internet users on a daily basis. From the world’s most popular encyclopedia, Wikipedia, to hundreds of specialized sites serving a vast array of subcultures and groups, wikis have become one of the hallmark tools of the participatory internet, or Web 2.0. This article will outline the development of wikis as a software platform and the cultural rise of Wikipedia before considering a range of participatory practices tied to one of the most widespread uses of wikis: as a tool for online fandom. 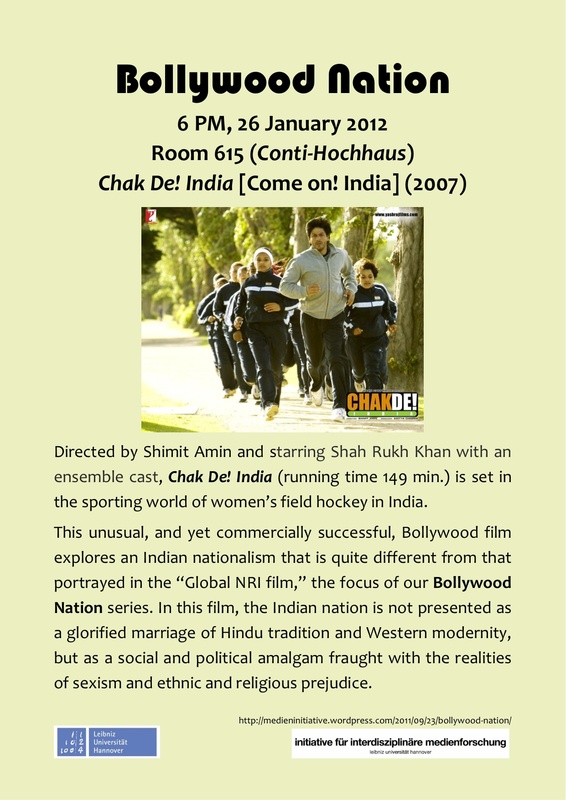 On Thursday, January 26, 2012, we will be screening the fifth and final film in our Bollywood Nation series: Chak De! India [Come on! India] (and not, as previously announced, Kabhi Khushi Kabhie Gham…). 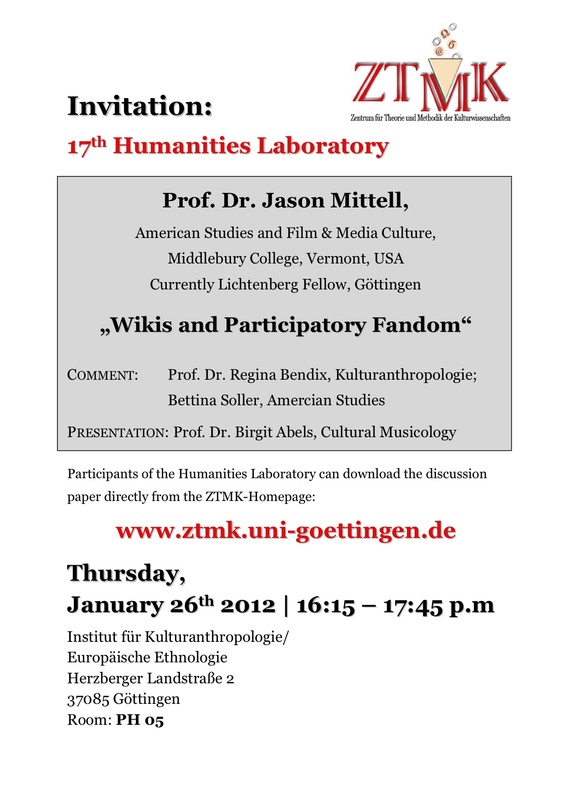 As usual, the screening will begin at 6:00 PM (room 615 in the Conti-Hochhaus). More information about the film can be found on imdb.com. With regard to the structural roles and relations of media in virtually every aspect of our lives, ours is an era of significant — perhaps even fundamental — change. Digital media, in particular, have transformed entertainment, social interaction, politics, art, and academia, among other areas of human activity. About that, there is widespread agreement; there is little consensus, though, when it comes to assessing the significance of these changes or determining their exact nature. Does “media convergence” characterize something unique about our culture? What is new about “new media”? To begin answering these questions, we must take a broader look at the history of media and media change. In this course, we will therefore focus not only on contemporary media phenomena, but also on a variety of earlier media transformations and transitions in an effort to better understand our present situation. With a primary emphasis on American (popular) culture, but with an eye towards global changes, we will consider moments of change and transition in a wide range of media, including the book, the cinema, recorded music, and television. Please be aware that this is an intensive theory course; there will be a heavy workload in terms of reading assignments, comprising quite a number of difficult theoretical texts. Please enroll only if you are willing to do the readings and participate actively in theoretical discussions. Please purchase a copy of the following book prior to the beginning of the course: David Thorburn and Henry Jenkins, eds. Rethinking Media Change: The Aesthetics of Transition. Cambridge, Mass. : MIT Press, 2003. (ISBN: 0262701073). Please read Chapter 1, “Introduction: Toward an Aesthetics of Transition,” and be prepared to discuss it on the first day of class!